There are six native species of amphibian in the UK: Rana temporaria common frog, Bufo bufo common toad, Epidalea calamita natterjack toad, Lissotriton vulgaris smooth newt, Lissotriton helveticus palmate newt and Triturus cristatus great crested newt. 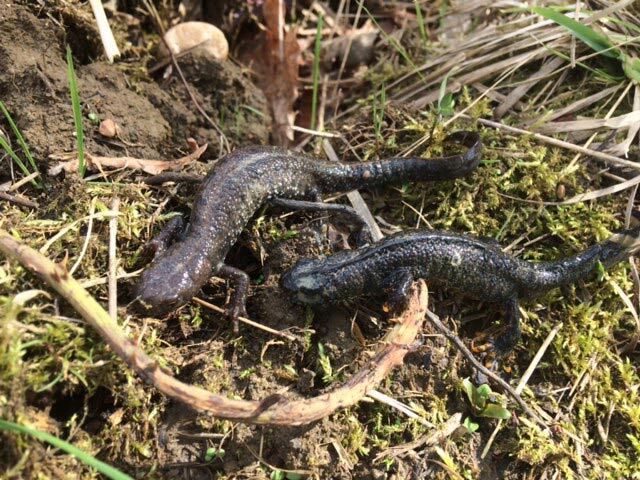 Great crested newt (GCN) and natterjack toad are both European Protected Species, but, while natterjack toad is only encountered in a few places in the UK, great crested newts are relatively widely distributed across large areas of the UK, where their breeding ponds remain. There are also populations of non-native and re-introduced species in some parts of Britain.